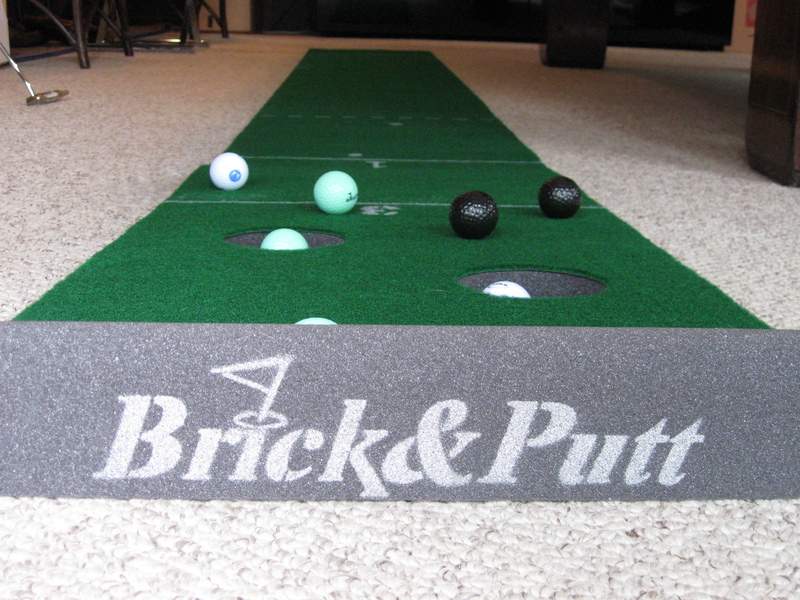 Your BrickandPutt course just arrived in the mail, you set it up in the family room, you take out all the balls, you download both Rulebooks, which game do you play? It could be a bit overwhelming with so many options. Always start with the game of BrickandPutt. This is the first game illustrated in volume 1. Once you understand that game, all other games will be easy to pick up, as the majority of the games are based on that game’s format. Fore instance, most of the games use 12 balls, with players alternating putts, leaving all balls on the course before scores are tallied. The top games that me and my friends usually play are… Moneyball, Defender, Zerow, Call Your Score, Contact, Lyres Brick, Offense/Defense, Two Ball, and Touch. I could keep going, but will stop there. Hope you enjoy playing, and Accept the Challenge!